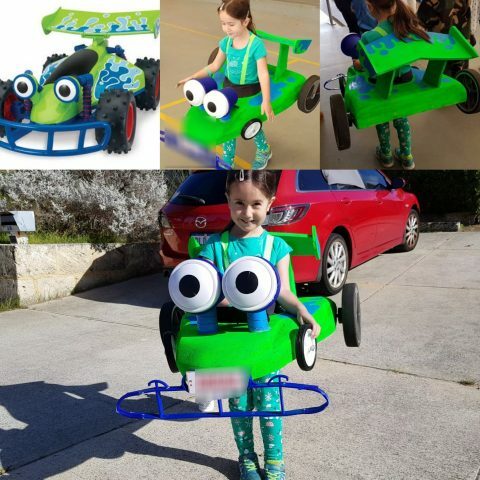 Toy Story’s RC As a Costume « Adafruit Industries – Makers, hackers, artists, designers and engineers! We built it together out of insulation foam. The eyes light up and the wheels all spin. I made a little dash from an old galaxy note phone with various funny horn sounds.